I could play with this set all day long. Love all the elements in it! 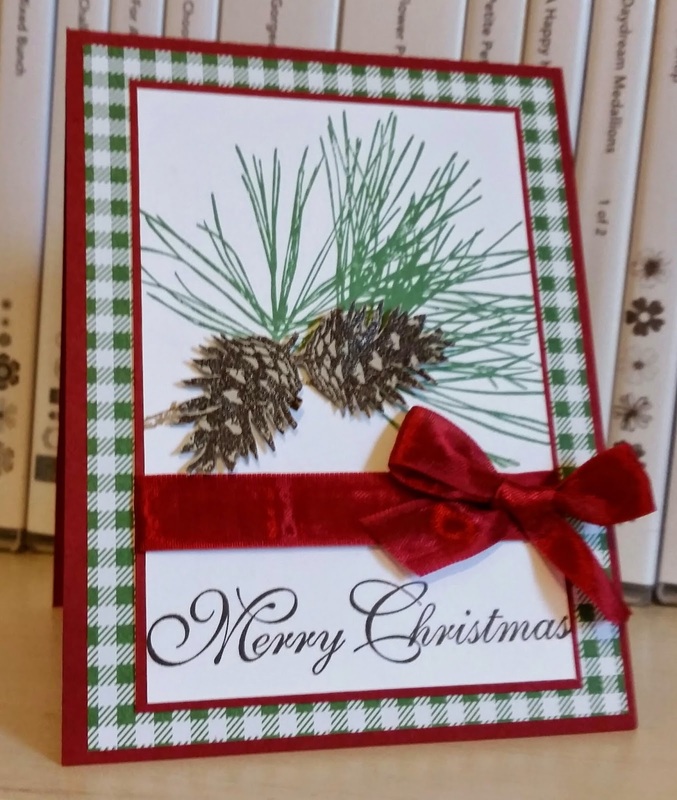 This is the third card for card class in January. I did some casing from Sandy Mathis at stampwithsandy.com . 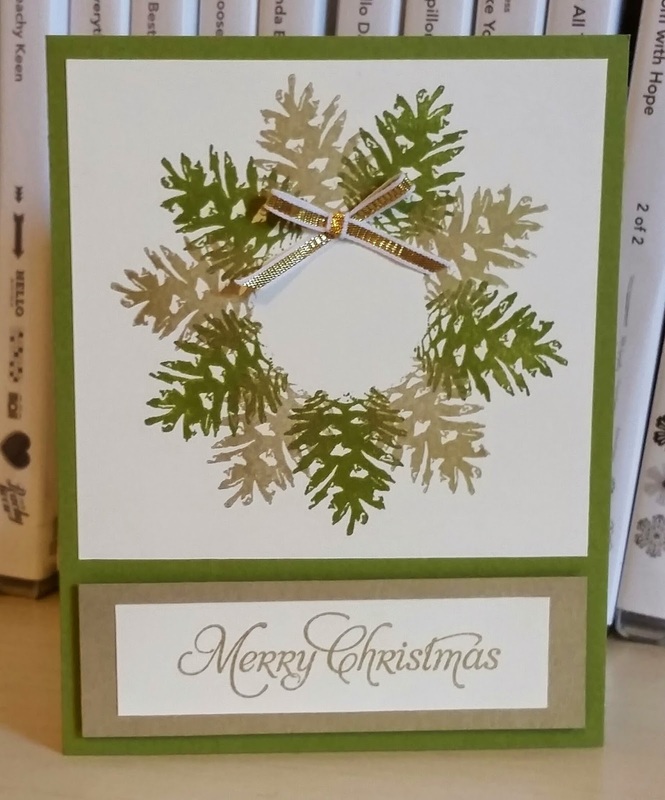 Love the card she created and gave me a chance to use many elements all from same set! 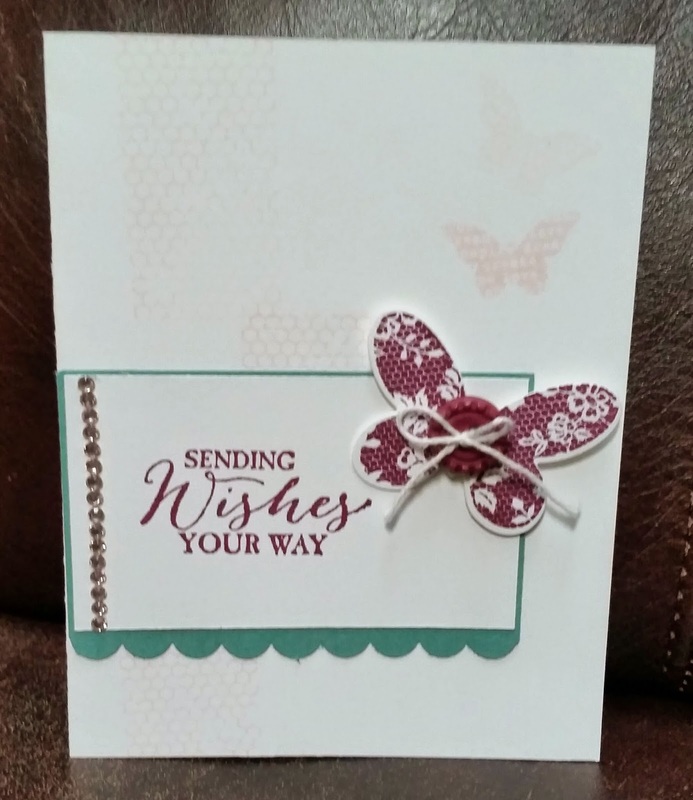 This Butterfly Basics set and Butterfly framelits dies are in the new 2015 Occasions catalog which starts January 6th through June 2nd. You can order the stamp set and framelits as a bundle and save! This set also comes with the choice of wood, clear or photopolymer. I choose clear mount...knew I would use this set a lot! 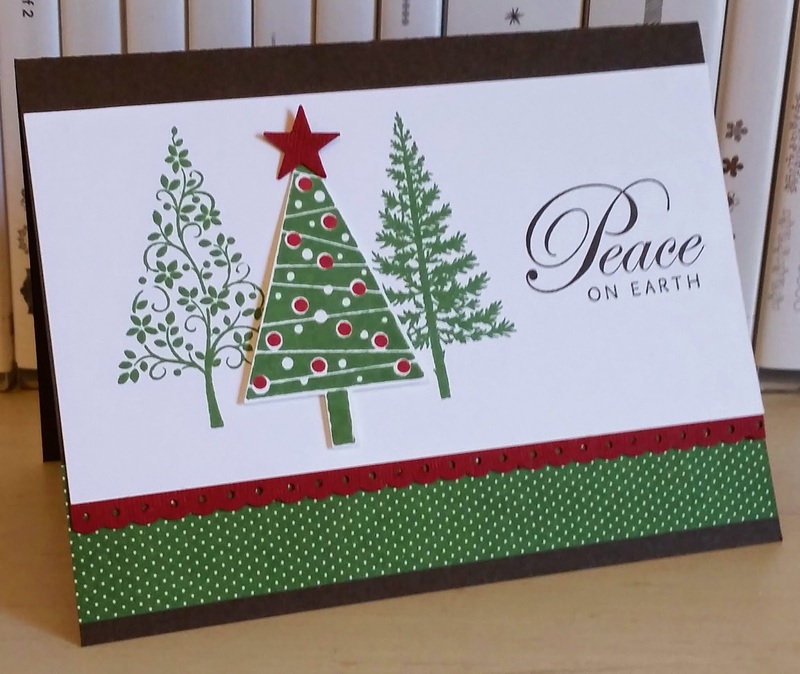 Happy last day of December and 2014! Hope you have a safe New Year's Eve! 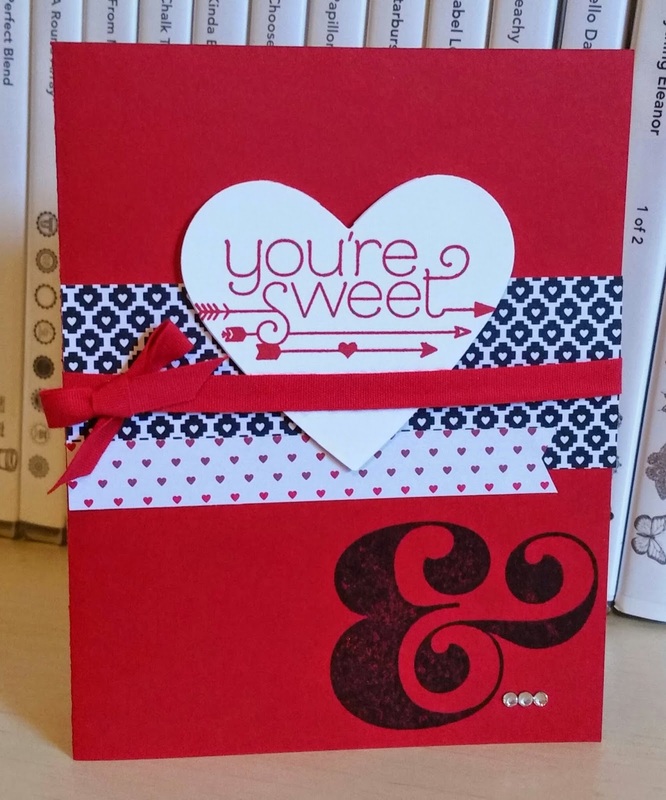 Another Valentine's day card for card class in two weeks! I like having lots of options for sentiments other than just Happy Valentine's Day. I will stamp that inside but like other sentiments on front. I love the "and" symbol. However, my daughter saw me stamp it and thought it was some floral thing! This is a new set in the new Occasions (spring) catalog that starts next week on January 6th. 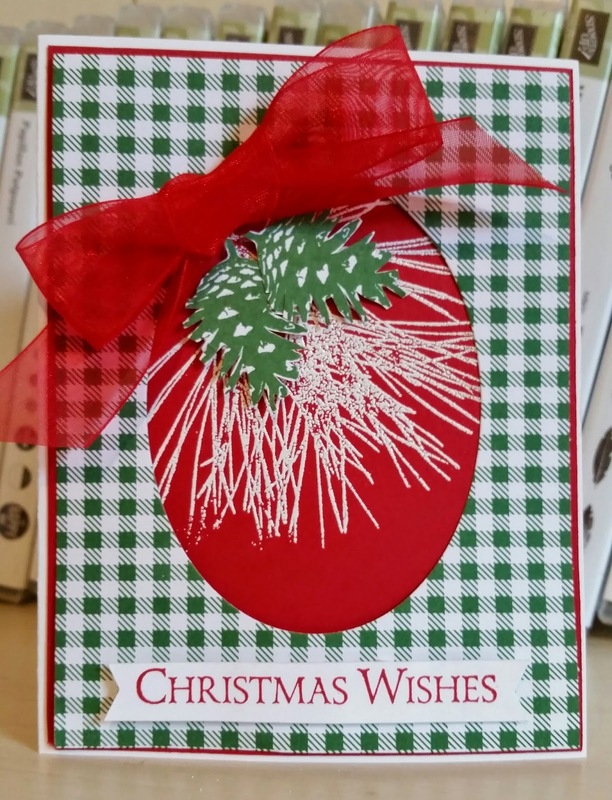 You can bundle this set with the paper stack for 15% savings. Love that! Wishing you a lovely day and thanks for stopping by! 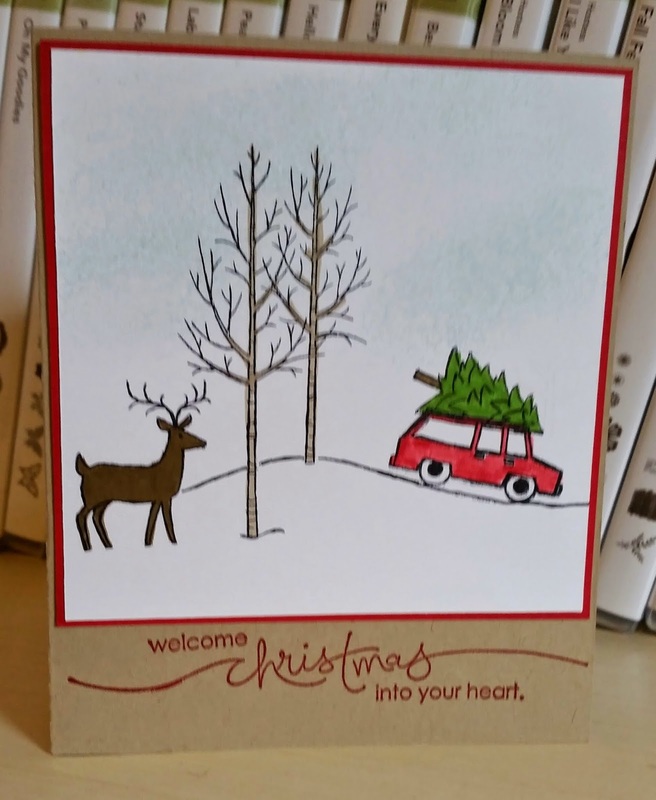 Preparing for my January card class in two weeks! I have been looking forward to playing with this set and its matching punch! 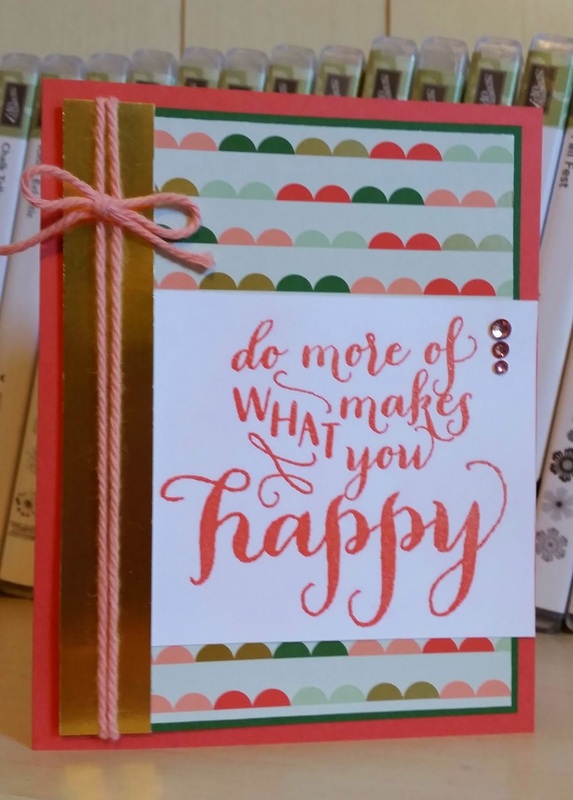 I like the other sayings in the stamp set called Groovy Love but went with this small one which cuts out perfectly with the Bitty Banner framelits dies. I like green and purple together and saw another card by Erica Cerwin at pinkbuckaroodesigns.blogspot.com use these colors so no-brainer with my color palette. I hope you have a wonderful Monday! 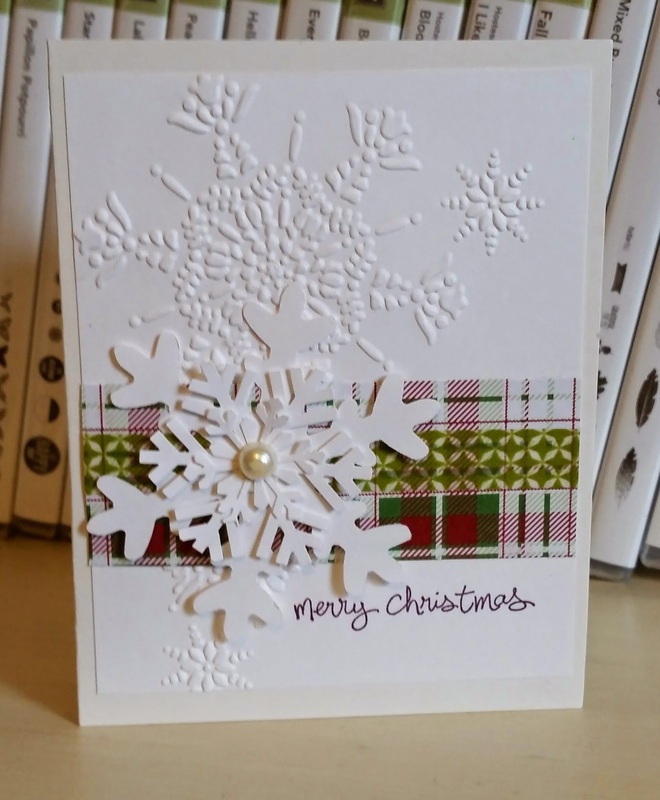 I love plaid and snowflakes so love this card from my friend Frenchie with them combined and all the texture from embossing! 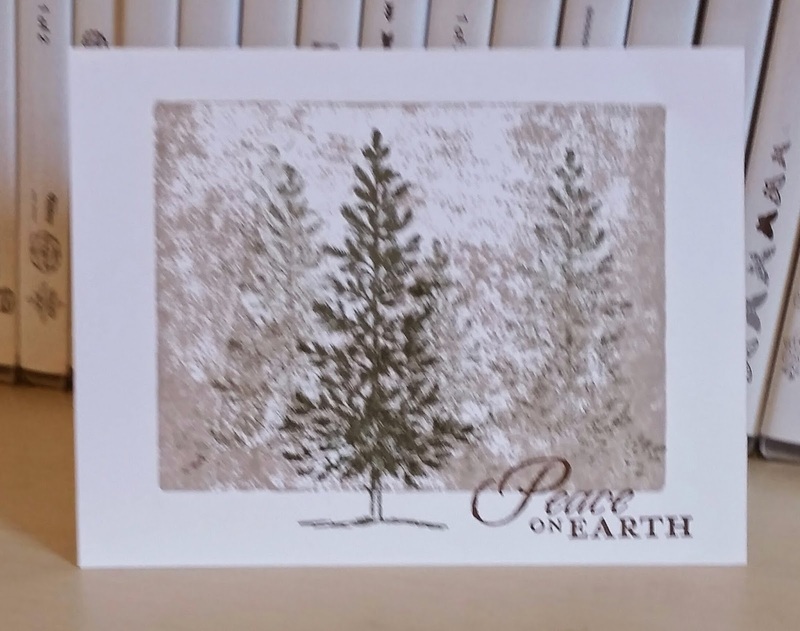 Sweet Christmas card from my friend Cheri. 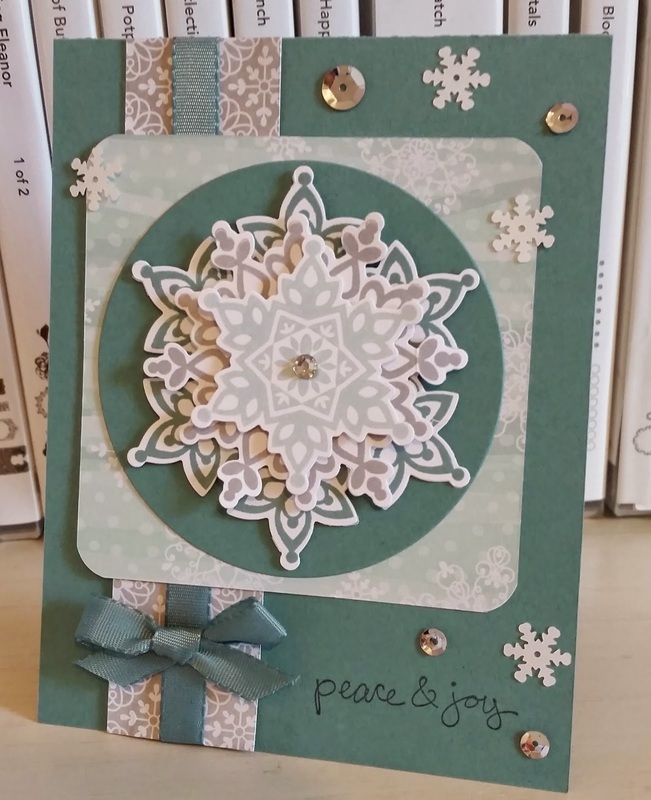 Love all the texture she created with layers and background! I had fun with this sketch! I hope you will, too! 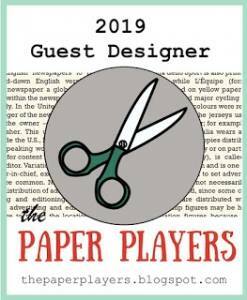 Take time to play around with old, current or new goodies and make something special! 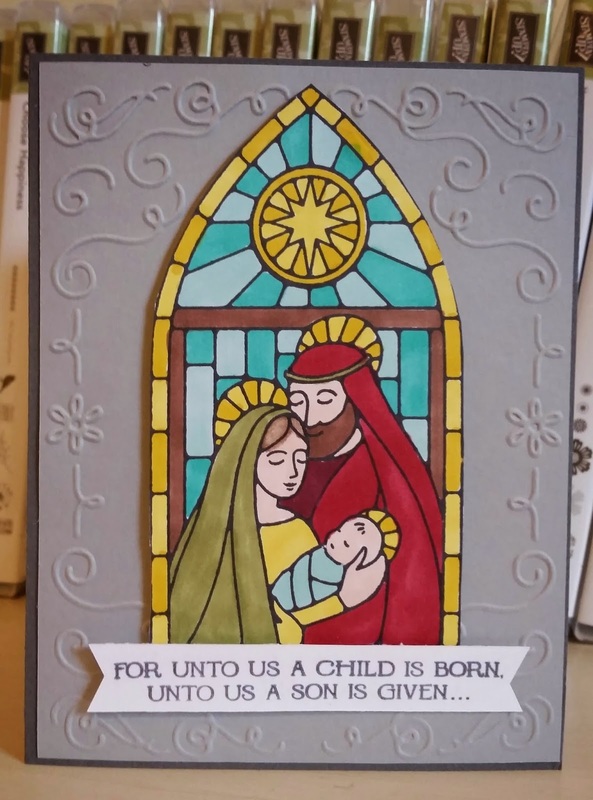 Lots of wonderful Christmas blessing to you and yours today and thanks for stopping by! Flashback of some of my favorite cards this season! Enjoy your Christmas Eve and thanks for stopping by! 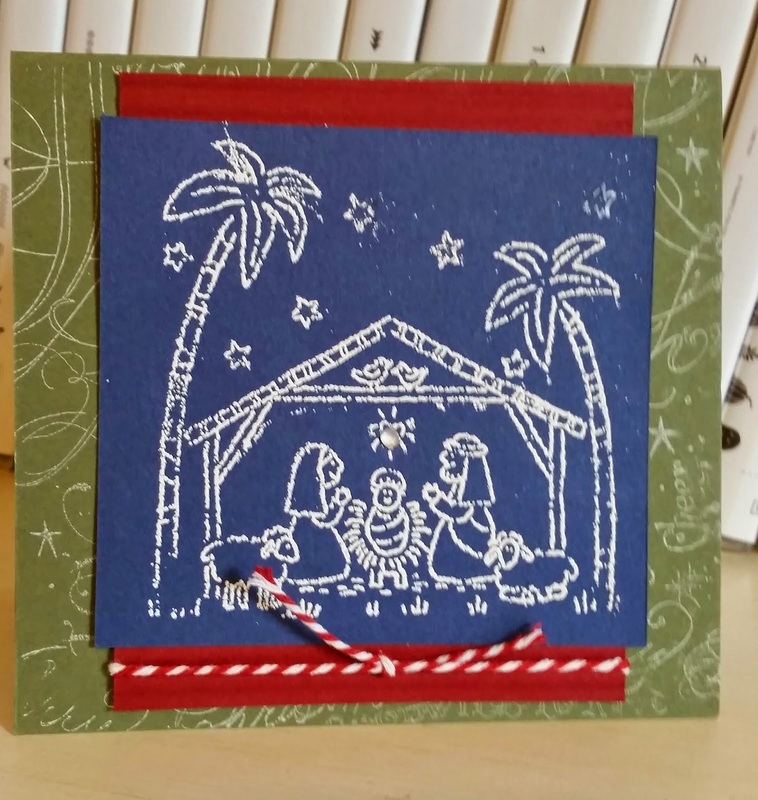 Christmas card from my friend Michaelle. Love how she did the tag and then placed on neutrals! Wrapped a gift then needed a quick tag. 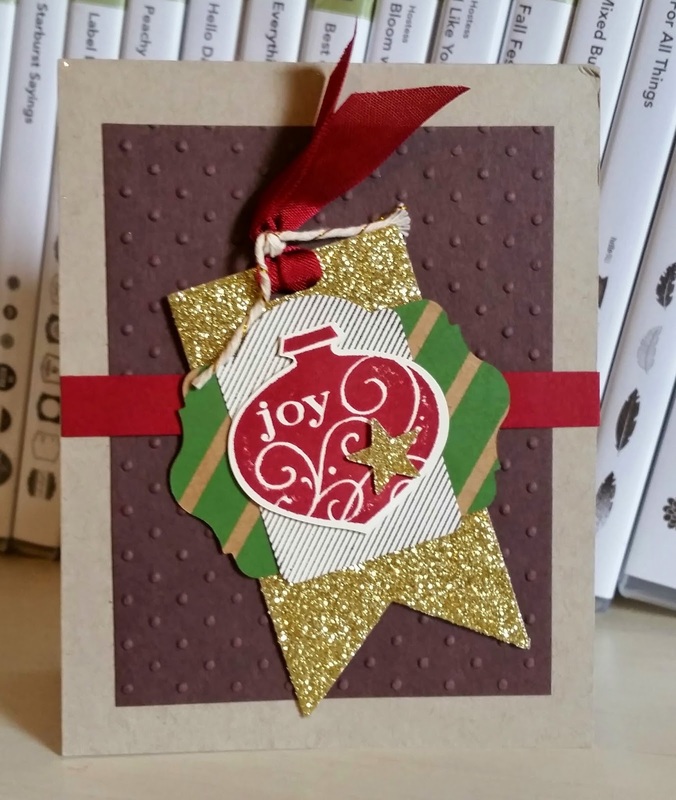 Love that in a few minutes I could punch a tag with the scallop tag topper punch and stamp two images and both punch out as well and add a little bling with some gold foil cut as a banner. Tied this on with some gold 1/8" ribbon and ready to roll! 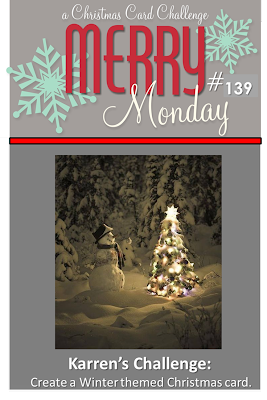 I hope you have a wonderful Monday and great start to your Christmas week! 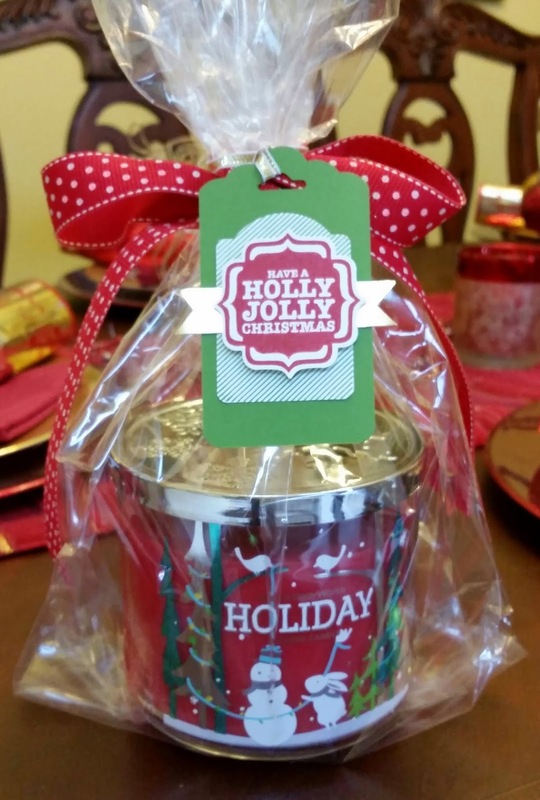 Another Sneak peak form the Occasions catalog which stars on January 6th! 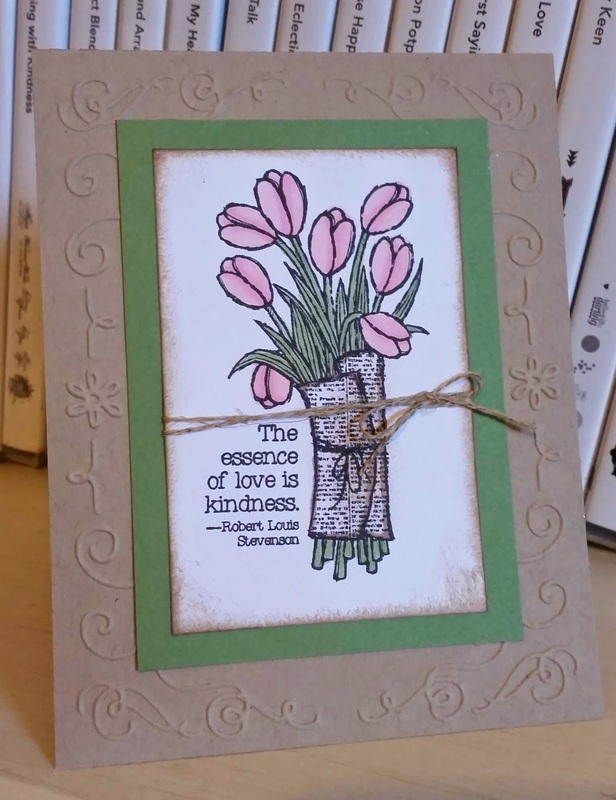 I love tulips and so when i saw this single stamp, I knew it would make the top of my list! I also helped that we now have new Blendabilities colors which I used here. Pink Pirouette and Wild Wasabi are perfect to color these tulips! 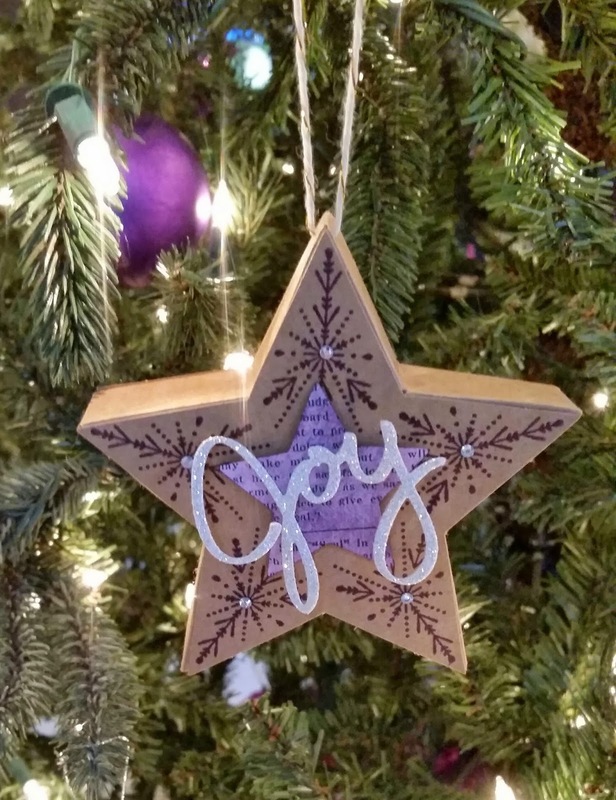 I hope you have a blessed Sunday and remember this is the season for kindness and compassion! 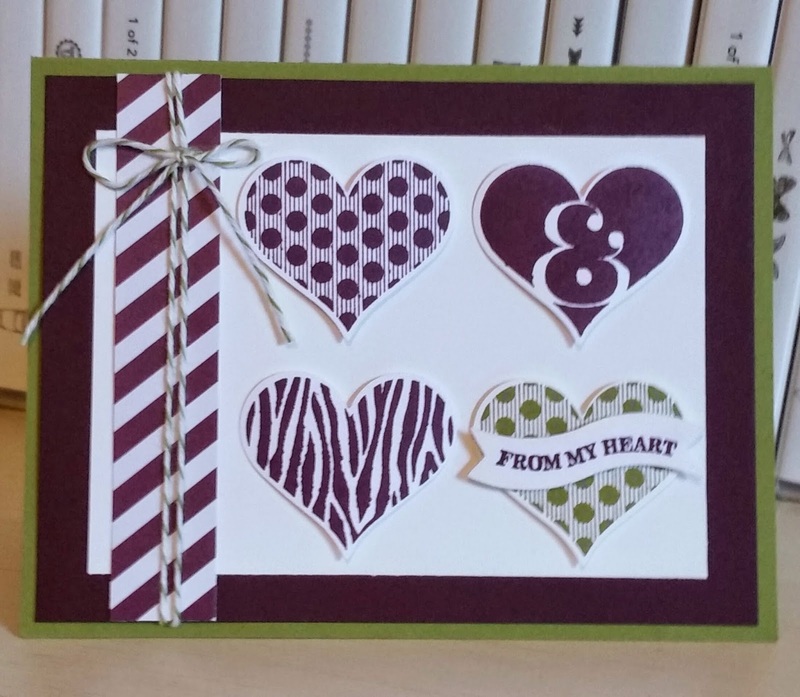 Playing around with new products from the Ocassions catalog and Sale-a-bration (SAB) catalog which both start on January 6th! 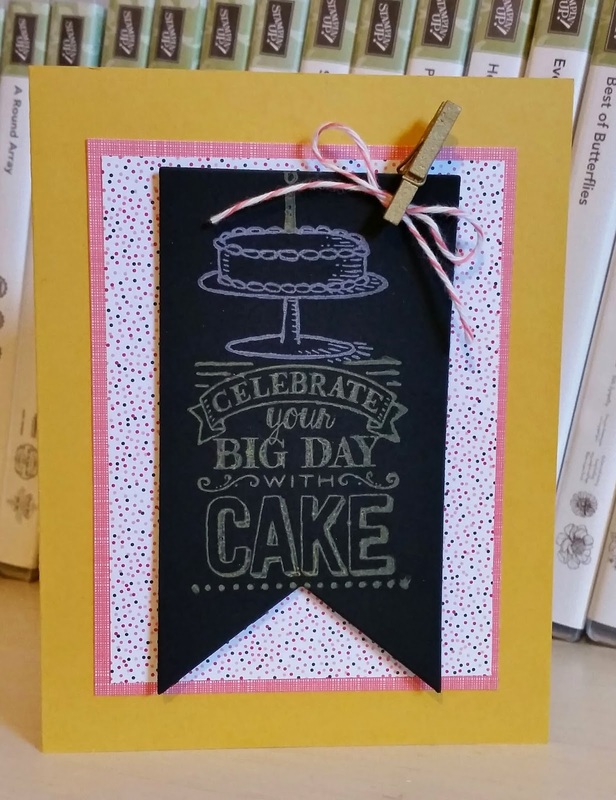 I used some new DSP called Stacked With Love and this awesome new Chalkboard paper! SU! is now offering Colorbox Chalk ink pads in three spring colors that work like a dream on this new chalkboard paper! 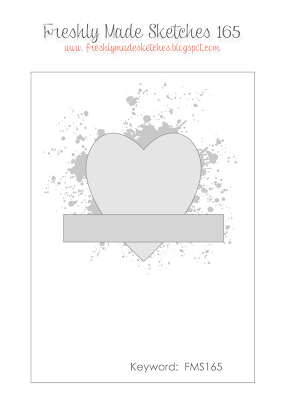 The stamp set is called Big Day and you can get it free when you spend $50.00. It is part of the SAB promotion starting in Jan. Earn a free item for every 50.00 you spend from Jan. 6th to March 31st, 2015. There are stamp sets, DSP, ribbon and buttons, a PL card collection, and even Blendabilities markers! Thanks for stopping by and hope you have a wonderful weekend! 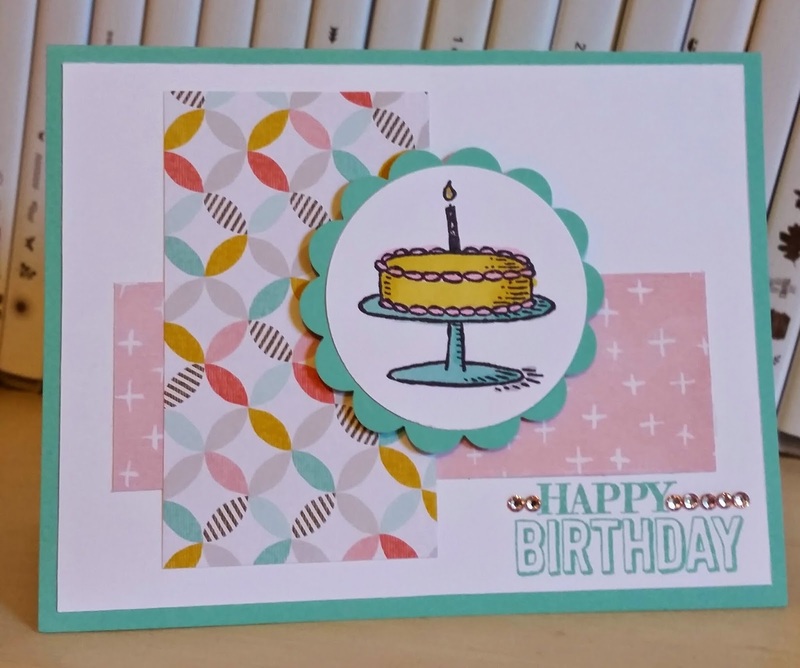 So loving the fresh color combos in the Sale-a-bration (SAB) and the new Occasions catalogs! Both start on January 6th. You can earn a free item for every $50.00 you spend until the end of March 2015. 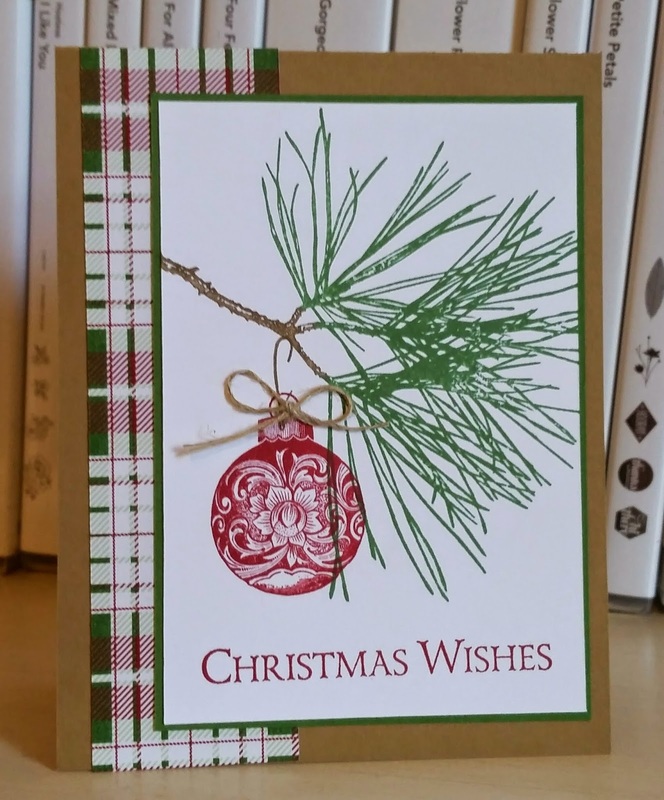 The new Occasions catalog will run until June 2nd this new year! The colors in this new DSP you can earn free from SAB are Coastal Cabana, Crushed Curry, Calypso Coral, Sahara Sand, Soft Suede and Whisper White. I did some coloring with my blendie markers and so this card went together fast! Joining the sketch challenge this week and have fun! Thanks for stopping by! PPA232 What Makes You Happy! Here is a sneak peak of the new set Hello Life. 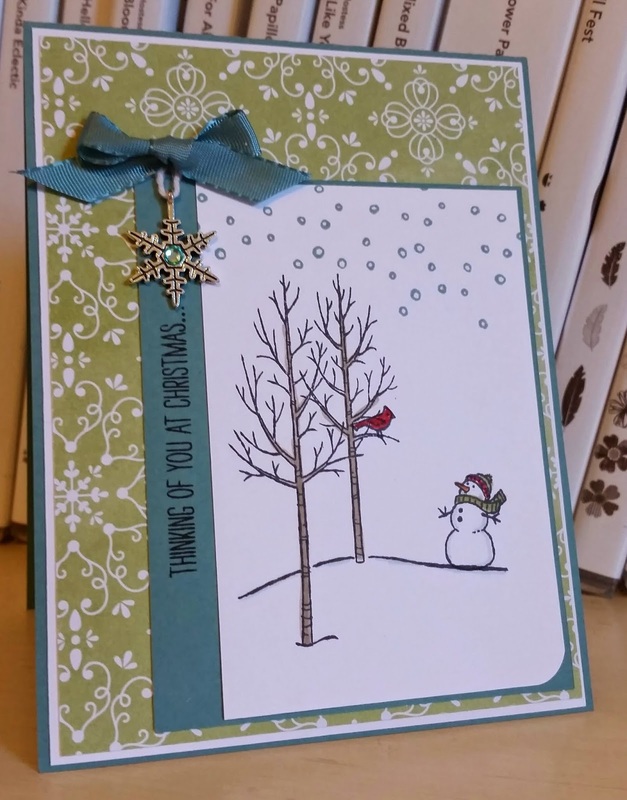 Can't wait to play with more but this sentiment was screaming to be heat embossing. 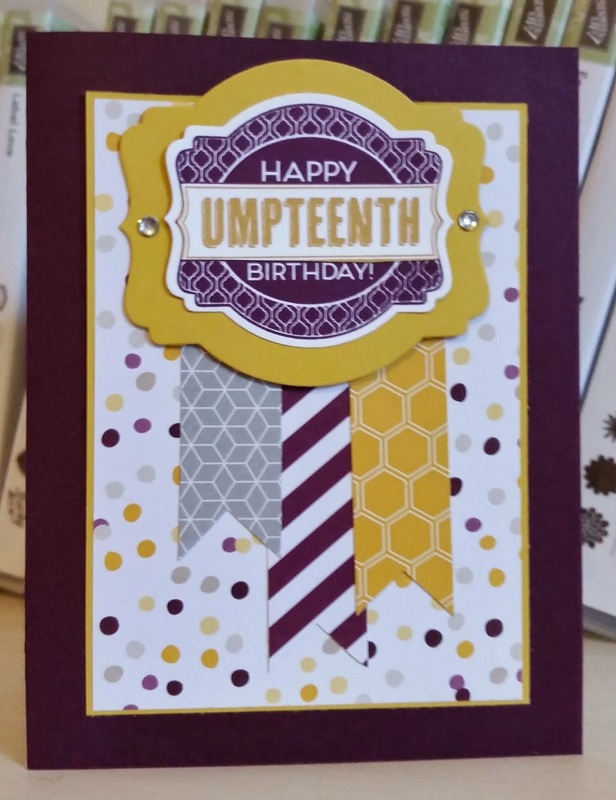 I pulled out my Gold Soiree DSP ,which I have not used much of , for a great color combo. 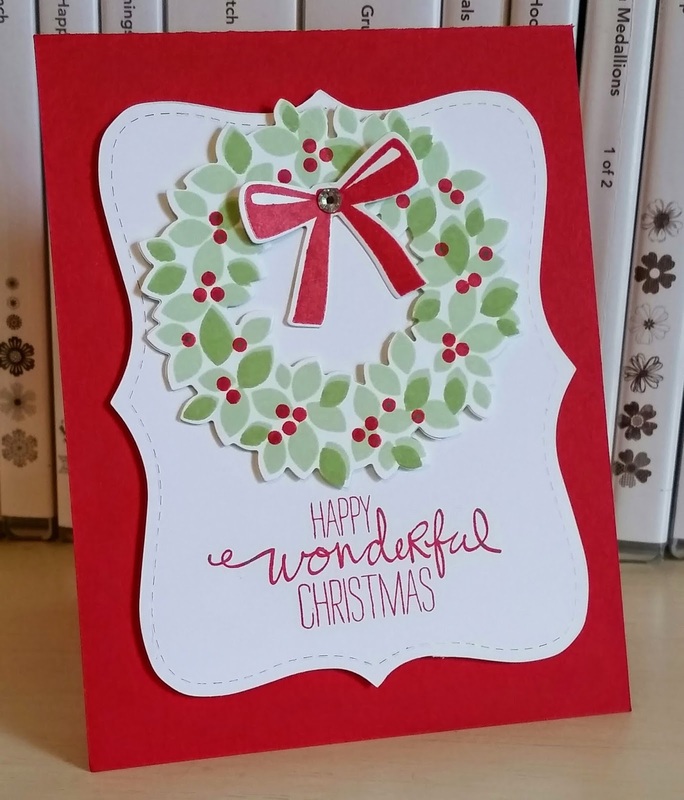 I just got last month some Calypso Coral emboss powder so the card then came together quickly! Great layout, too! 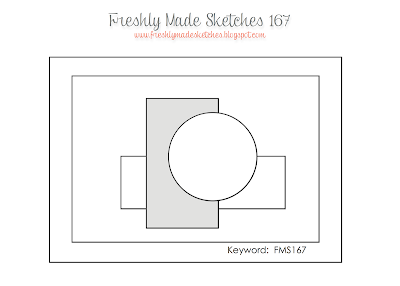 Play along with the sketch challenge and have fun! BTW- one week til Christmas day!!!!! Still very happy I got this White Christmas stamp set! 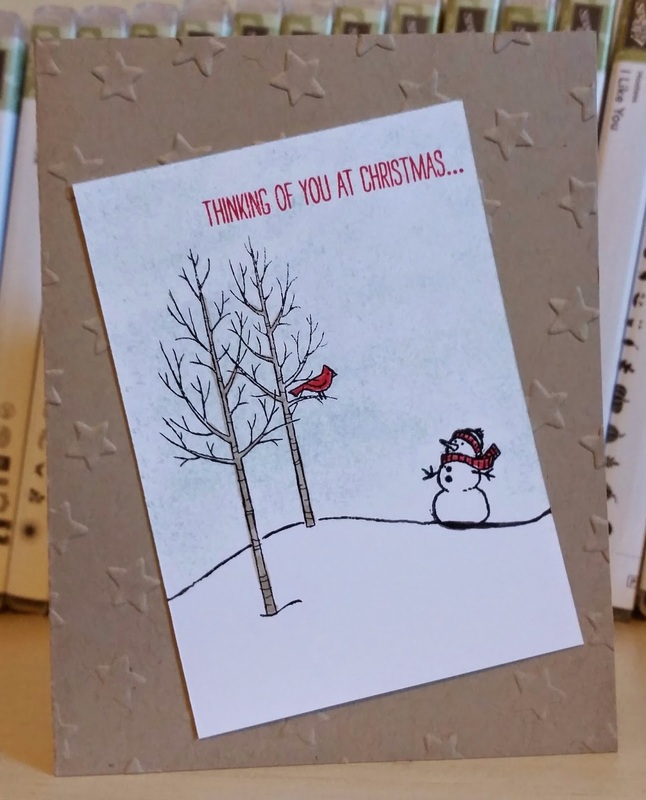 Love playing with it and love the snowman, too! 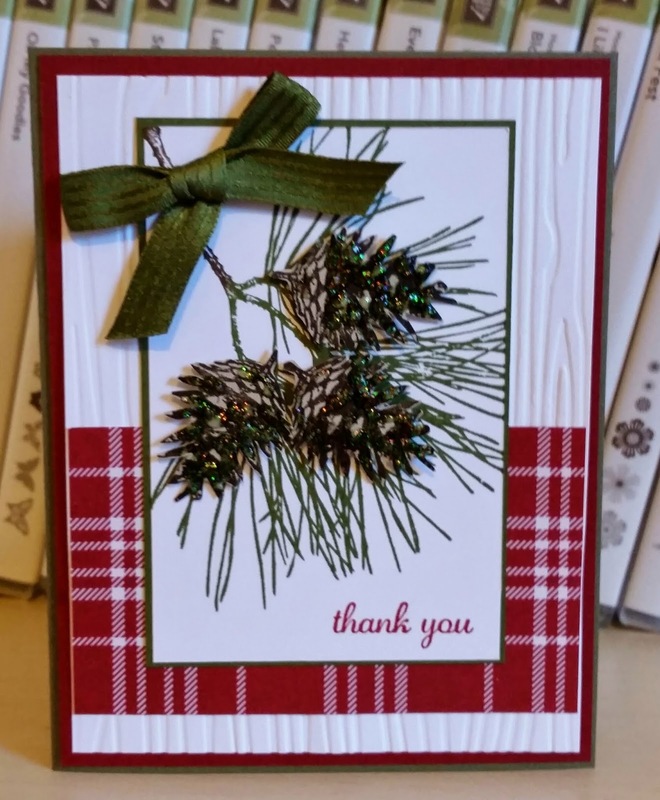 I have enjoyed playing along this fall with Merry Monday..they have challenged me and helped me have plenty of cards for Christmas! Thanks Team! I hope you have a blessed Wednesday and thanks for stopping by! 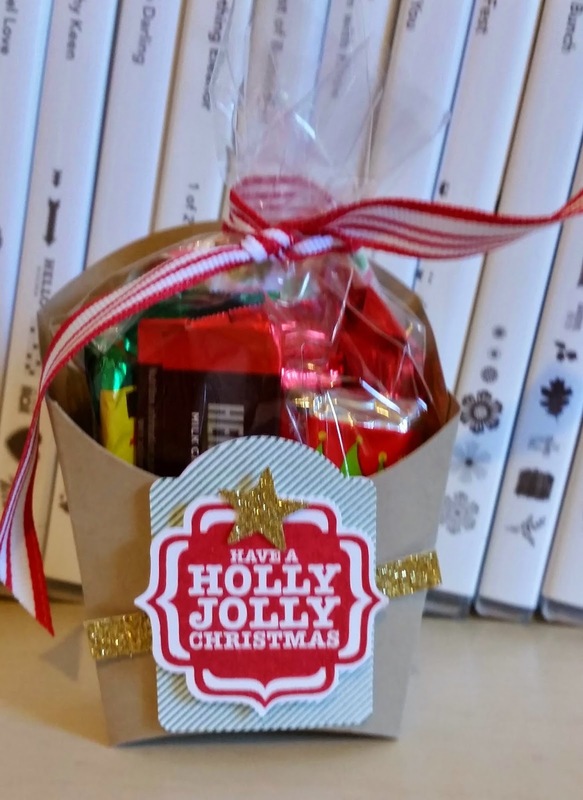 I made these cute fry box treats for my 9th grade girls Sunday School class. We had a party this past weekend and they loved the box probably more than the candy inside! Love to make them smile! More cool scenes from the White Christmas set. I colored the car a little sketchy to make look rusted and older. Ink: Soft Sky, Black StaZon, Real Red. 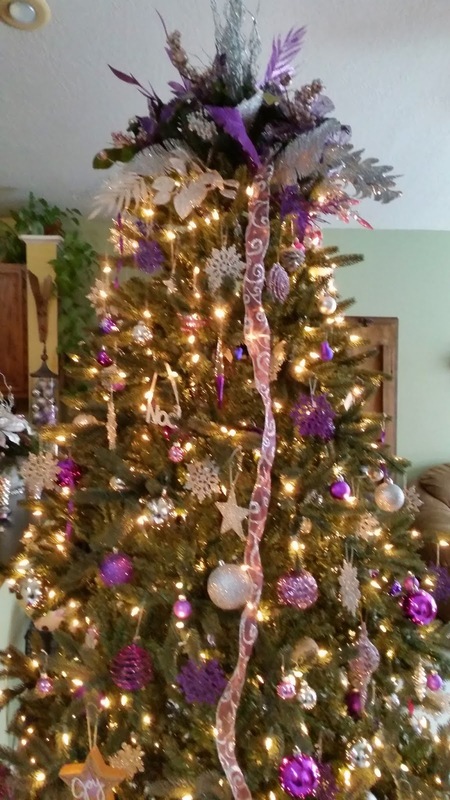 My purple and silver Christmas tree! 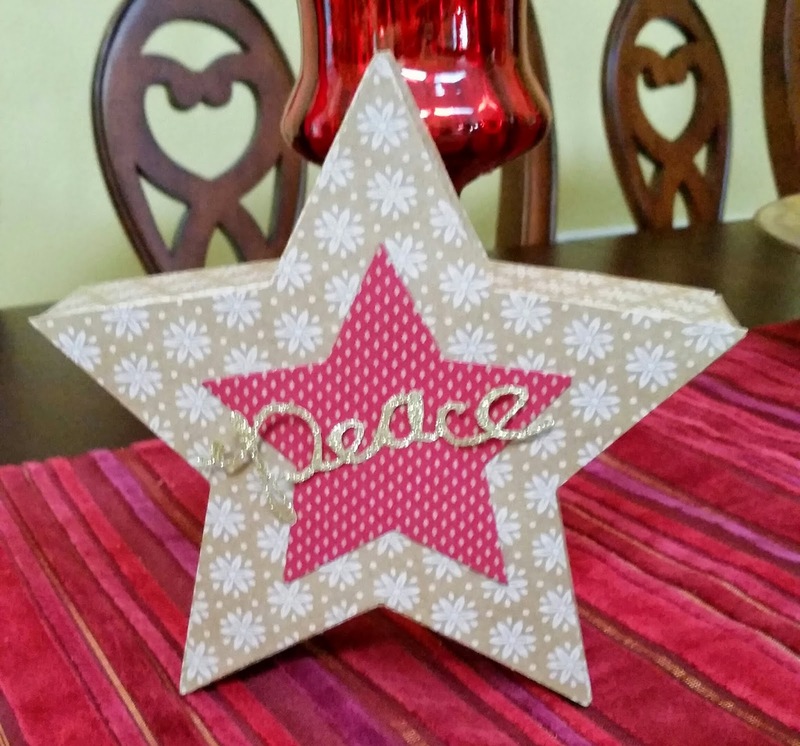 I wanted to make one of my Many Merry Stars boxes work on the tree so used the craft side and stamped with the Many Merry Stars stamp set in Blackberry Bliss and added a silver Joy to it. Thanks for stopping by and have a wonderful Sunday! 11 more days until Christmas! Enjoy! Sneak peak of new spring products from the Occasions catalog that begins on Jan. 6th. 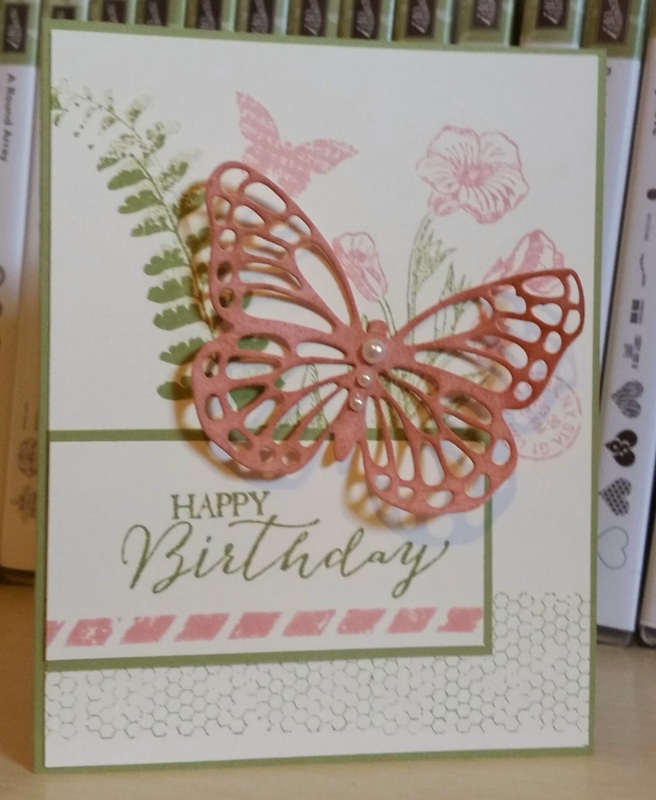 The Pink Pirouette does not show up great in the photo but I stamped a honeycomb background and a small butterfly on the base of card. I love the lace design on the butterfly and that it has a matching framelit die! Enjoy your weekend! Thanks for stopping by! 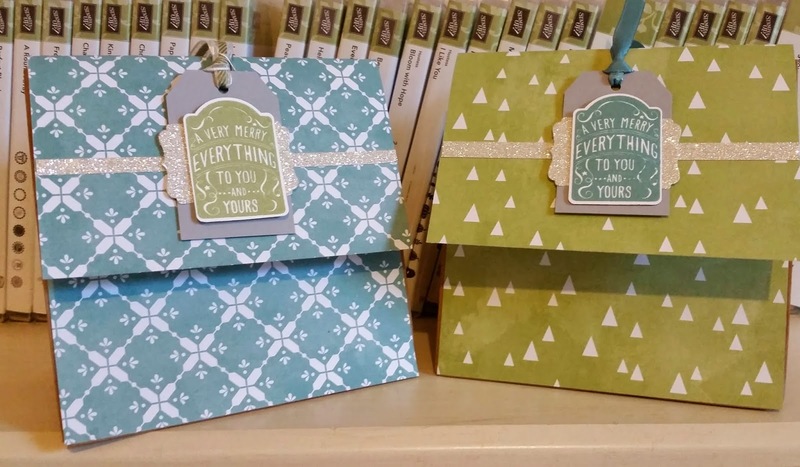 Some bags I made for the guest to my tag class on Monday night to carry home their Christmas gift tags. I used All Is Calm DSP and covered the large brown lunch bags. 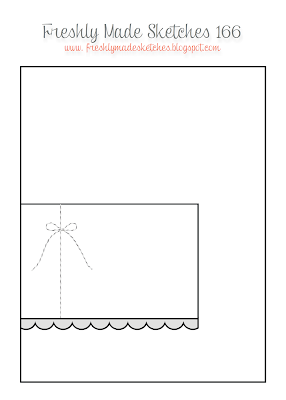 The bags are cut down to a 6"x 6" size. PPA231 Having a Blues Christmas! Well, I must confess I only thought of snowflakes when I saw this color challenge! I can't wait to see what others design with these colors! 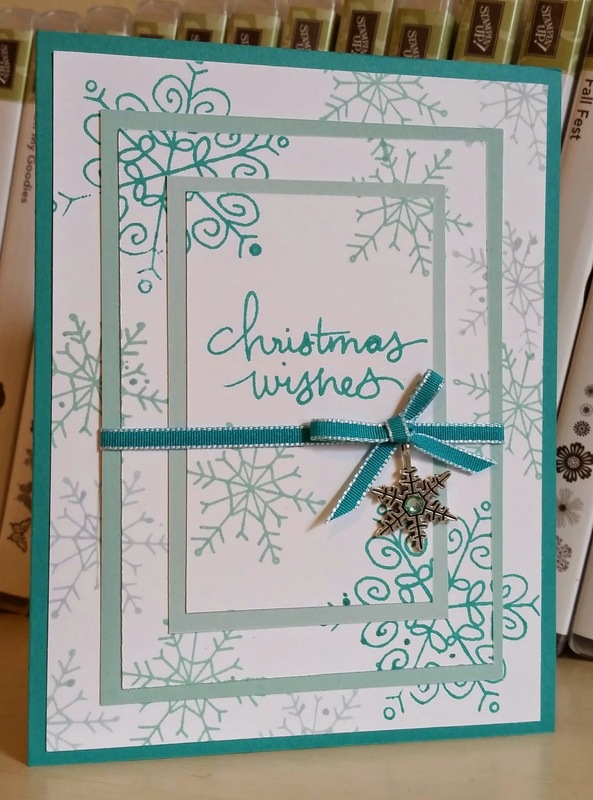 I did the triple time stamping technique using all three colors of card stock (even though the Soft Sky and the Pool Party look the same here in photo). I like how it turned out with the bow and the snowflake charm! 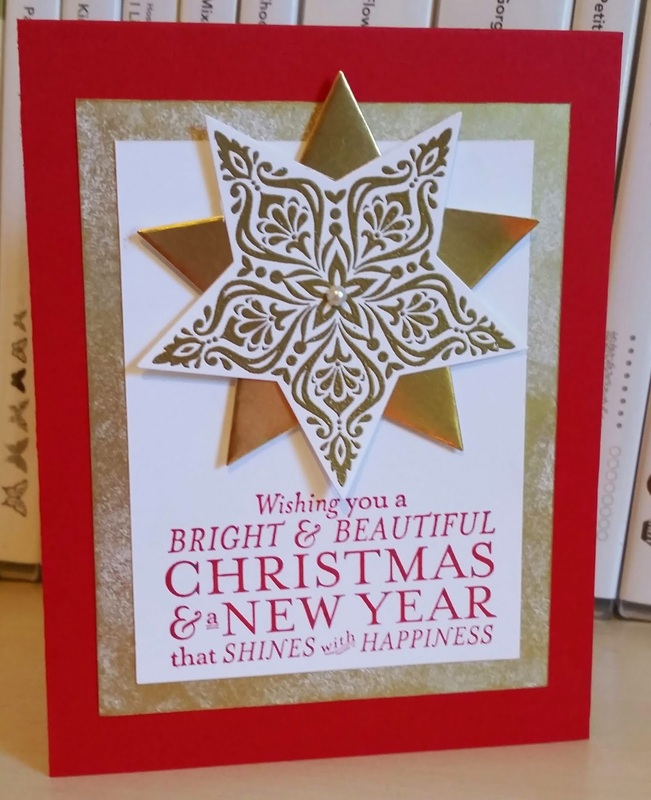 Have a lovely day with your Christmas Wishes and thanks for stopping by! Birthday card for my husband Mark...today he is even older! Haha! So I wanted to remind him with the umpteenth of course! The black tie part hit me as movie star type words so I started with of course stars! I added the bow and banner from my Many Merry Stars kit. 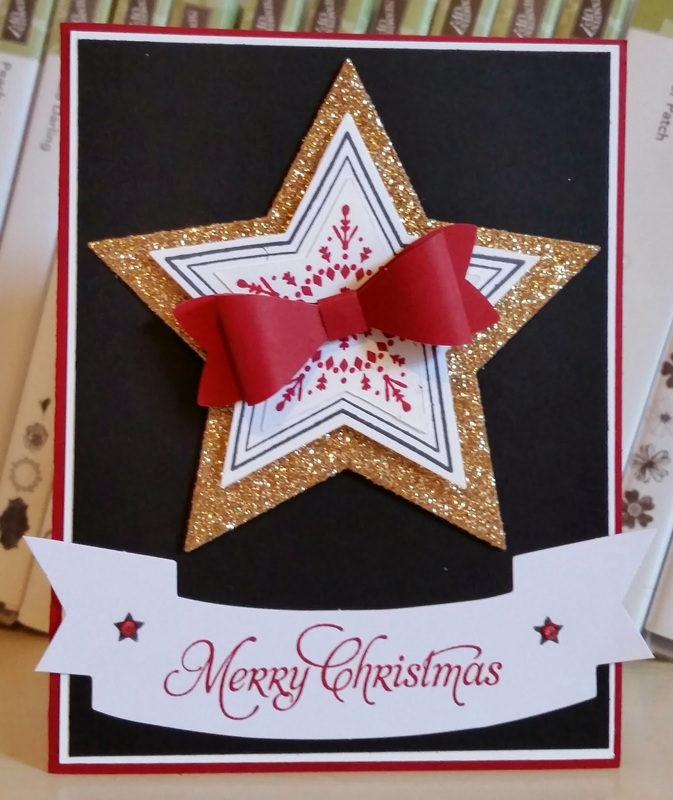 I stamped black stars on banner and then colored rhinestones in Cherry Cobbler on the stones. 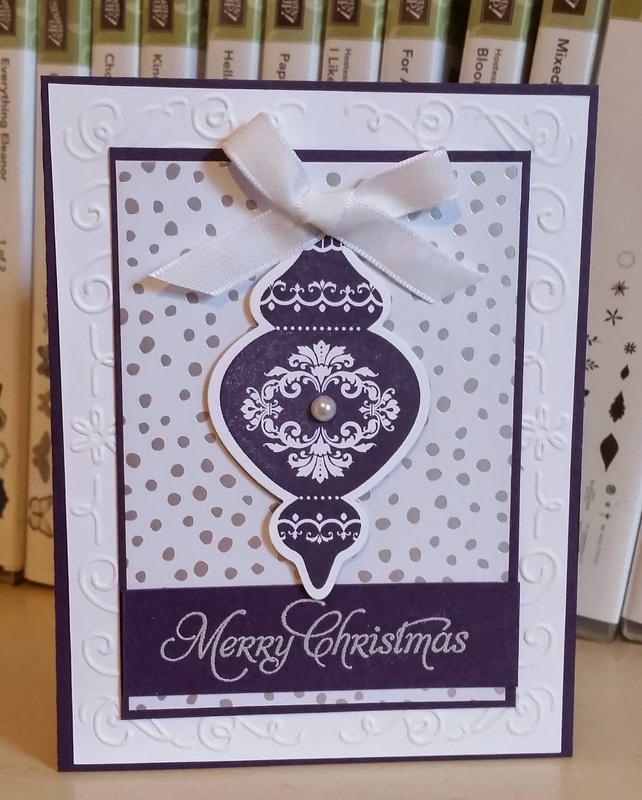 Do not know who will get this special card but it is fancy! 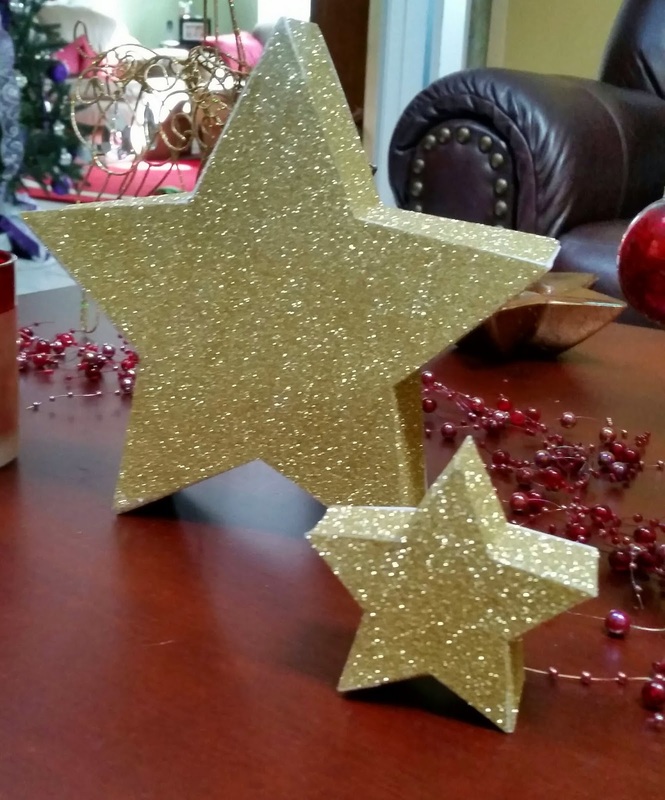 Using the Many Merry Stars kit to decorate around my house this week! 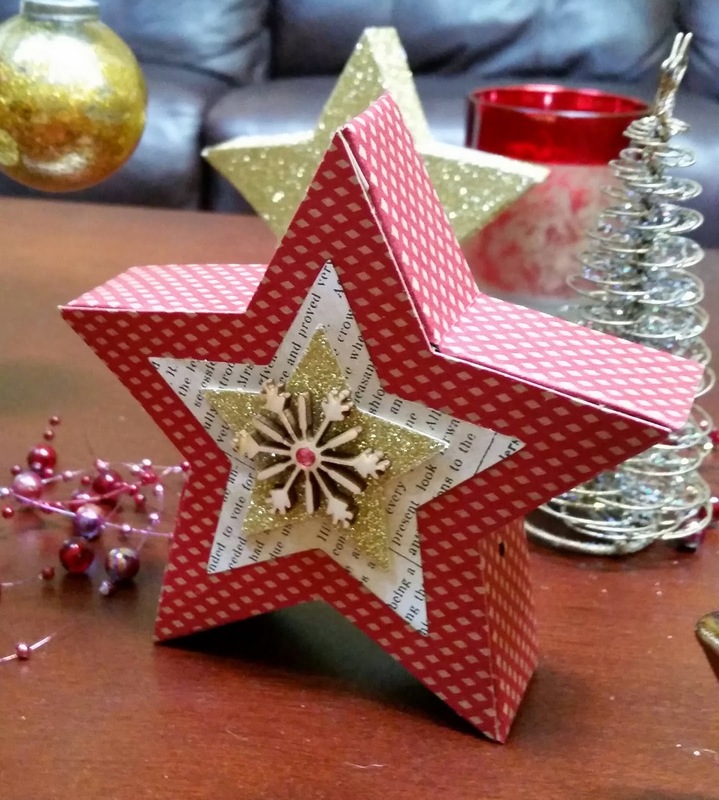 We played with the stars during stamp club last Monday and then I used some of the boxes to add to my gold and red decor. 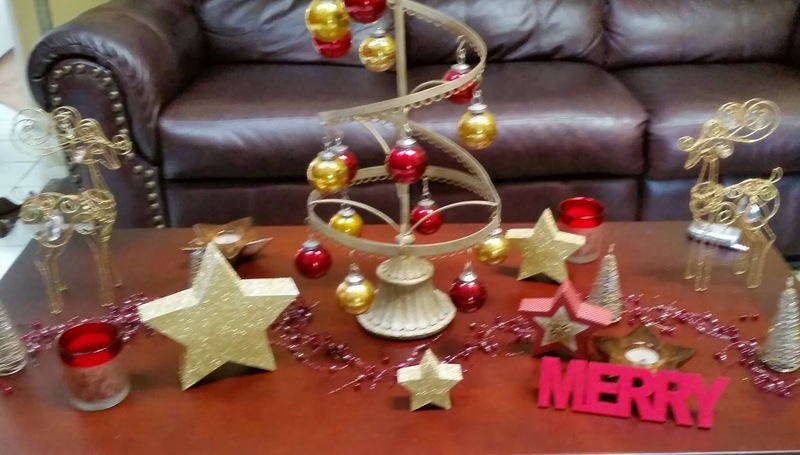 I love making scenes with the White Christmas set. Easier to use than i thought when first spotted it in the catty! I hope you have a blessed Sunday! This will be my very busy week and then I can relax and enjoy! Thanks for stopping by! 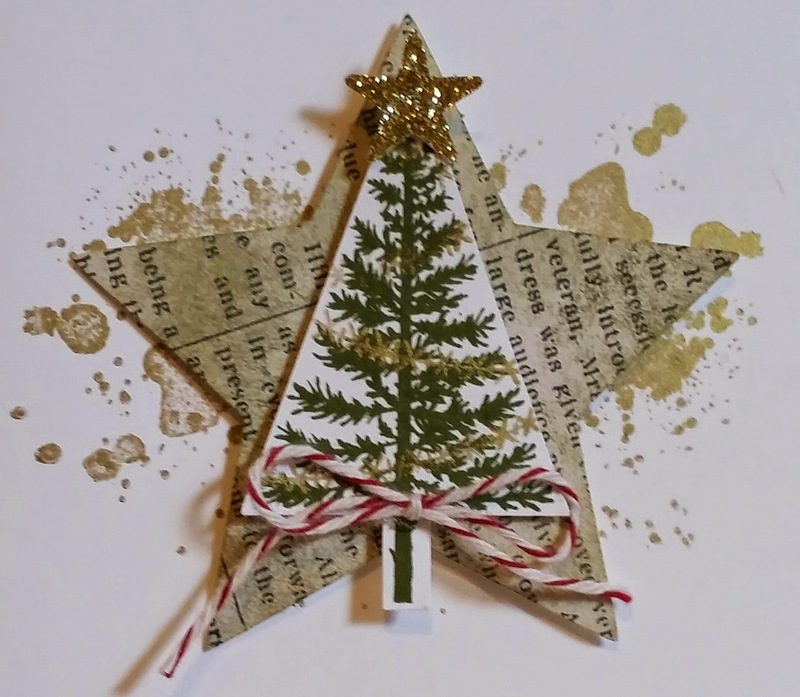 Last tag I designed for an example at Christmas tag class coming up on Monday. 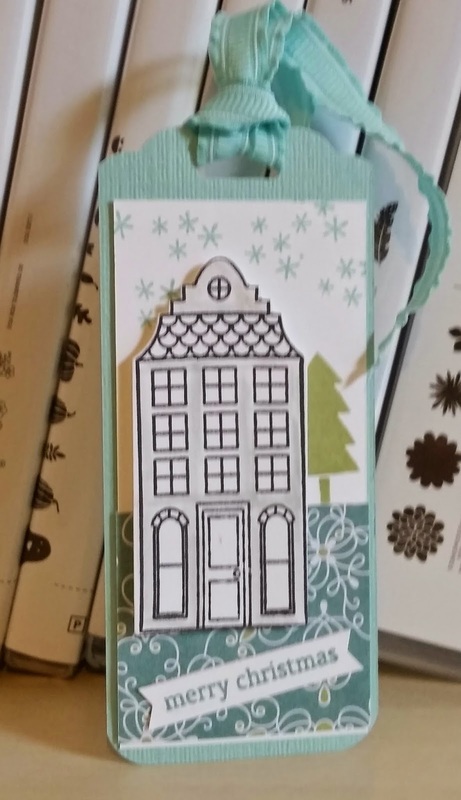 Love the Holiday Home and matching dies but there are lots of very small stamps I am afraid I am going to loose. But the good part is they make for fun additions like the tree I could place behind the house for landscape! 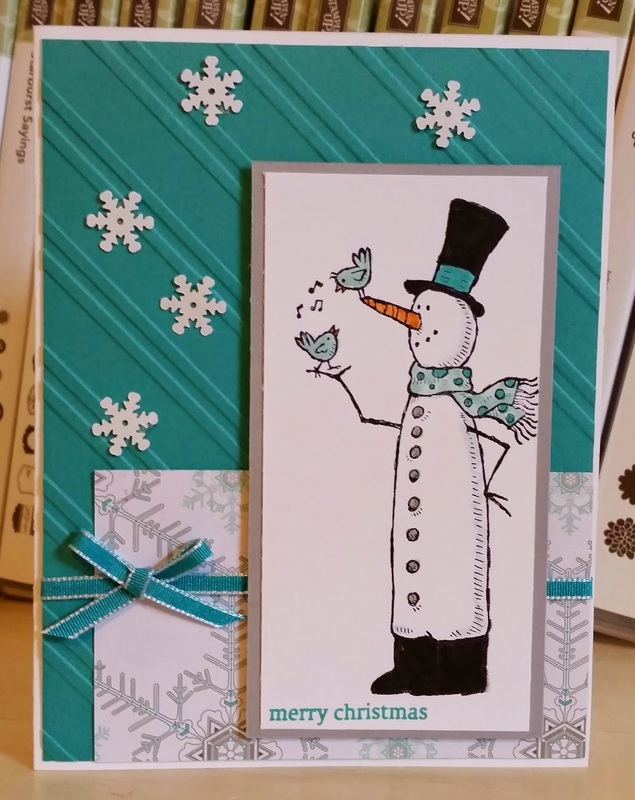 I love the snow stamp! 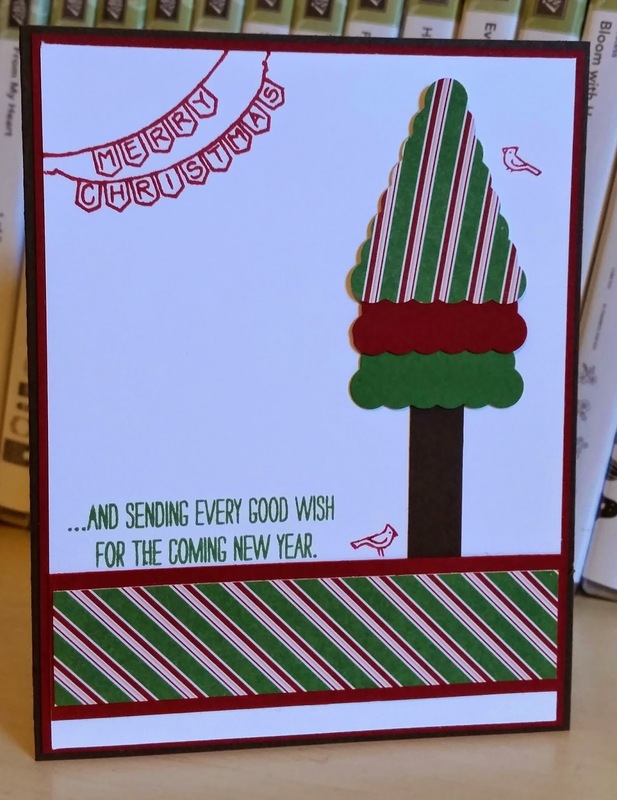 Fun simple card! I saw a tree when I saw the sketch! 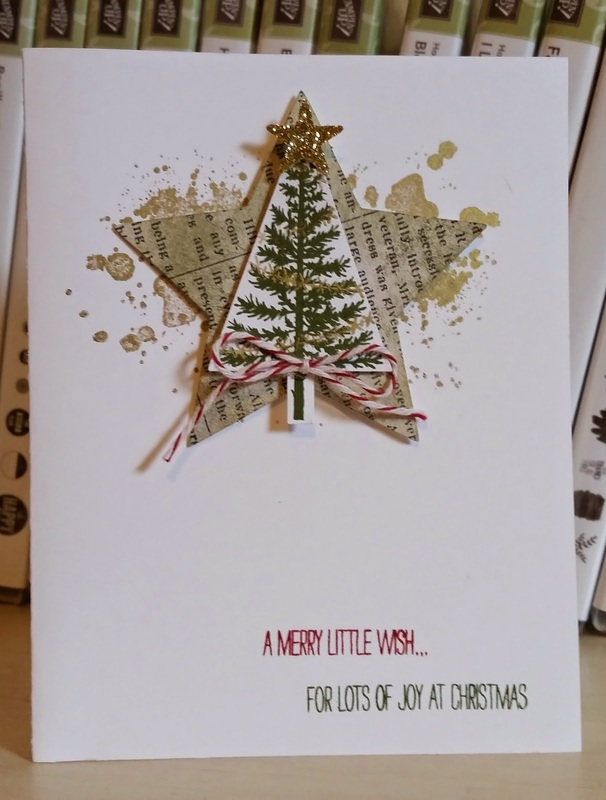 I want to play with a heart but need to keep on the Christmas cards for a little while longer! 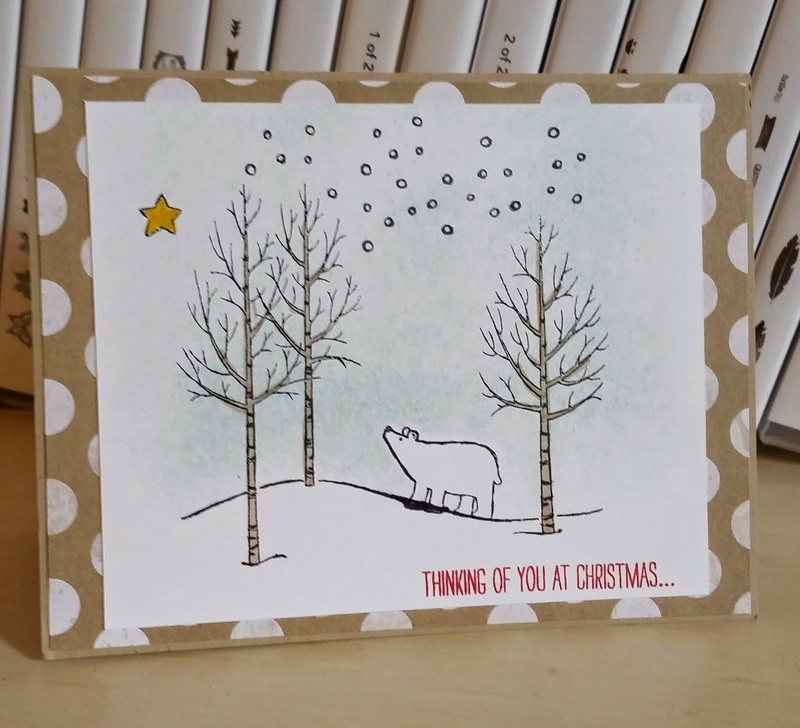 I may use this one for a thank you card which I find I need after Christmas! I hope you have a fun filled Friday and thanks for stopping by!